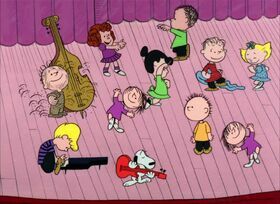 Tams-Witmark Music Library is pleased to announce the release of Rehearsal Aid software for A CHARLIE BROWN CHRISTMAS. This new expansion to our library lets the user apply our customized rehearsal software to this holiday classic. To learn more about the Tams Rehearsal Aid and the other shows it can used for please visit our Rehearsal Tools page.